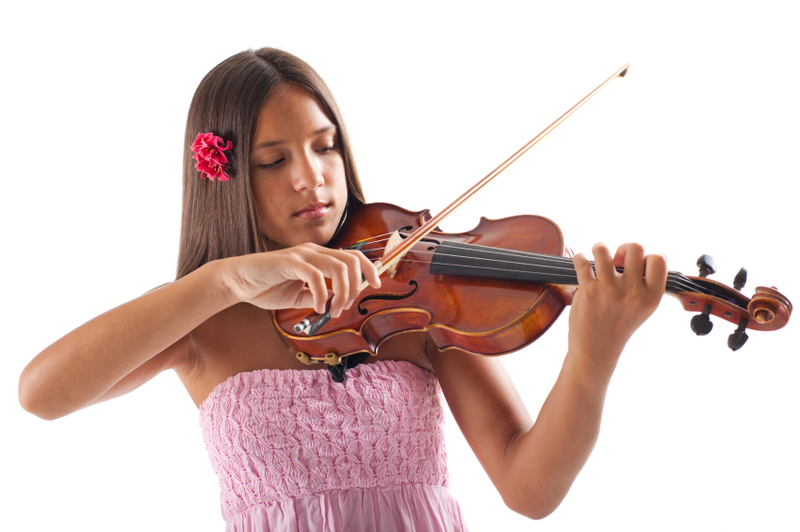 Music Makers Calgary is the perfect place for young kids, teenagers, adults and seniors to take Violin lessons. High qualified teachers ready to give you the best learning experience possible, respecting your own pace and ability. 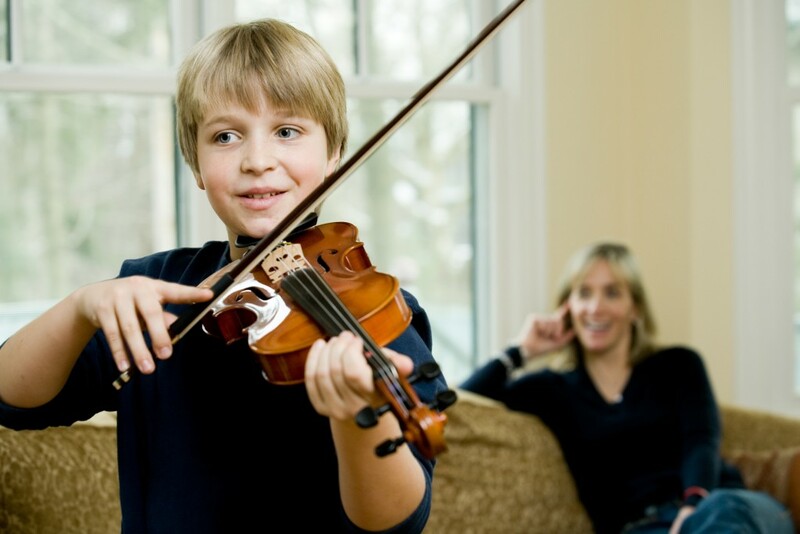 Get in touch to learn more and schedule your first Violin lesson. Enjoy all the benefits of playing the Violin. Take Violin Lessons with us. A violin generally consists of a spruce top, also known as the top plate, maple ribs and back, two endblocks, a neck, a bridge, a soundpost, four strings, and various fittings, optionally including a chinrest, which may attach directly over, or to the left of, the tailpiece. First made of stretched, dried and twisted sheep gut, currently it is still made of gut, specially if the musician want an historical tone, but also solid steel, stranded steel, a variety of synthetic materials and some times plated with silver. The highest note is E7 and the lowest G3. Depending of the finger board length, higher and lower notes could played, although not commonly used in orchestral violin parts. The arched shape, the thickness of the wood, and its physical qualities govern the sound of a violin affect the acoustic of the violin. Apart from the standard, full (4/4) size, violins are also made in so-called fractional sizes of 7/8, 3/4, 1/2, 1/4, 1/8, 1/10, 1/16, 1/32 and even 1/64. Made of a wooden stick with a ribbon of horsehair strung between the tip and frog, at the opposite end. Some cheaper bows can be made of synthetic fibre. 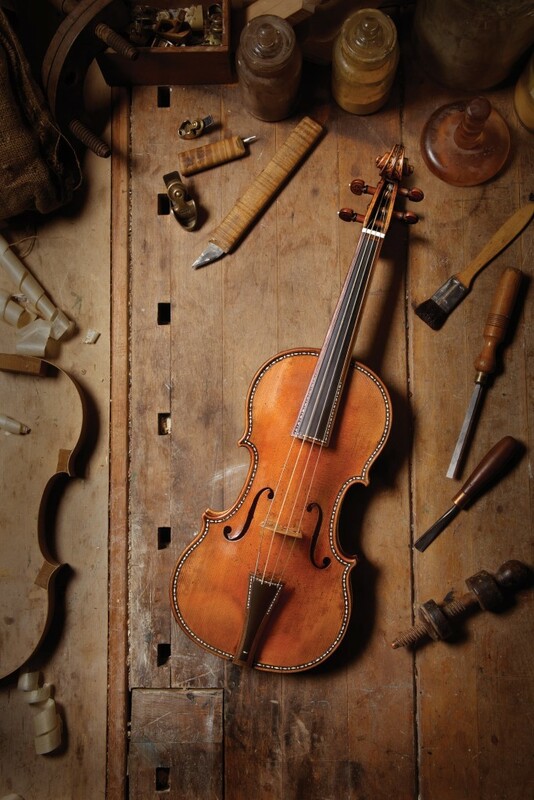 Brought from the middle east by Arab and Mediterranean traders, the first form of the violin arrive in Italy in 16th-century. After further modifications using borrowed ideas from other contemporary stringed instruments between the 18th and 19th centuries, it served as the bases for the viola and the final form of the violin. 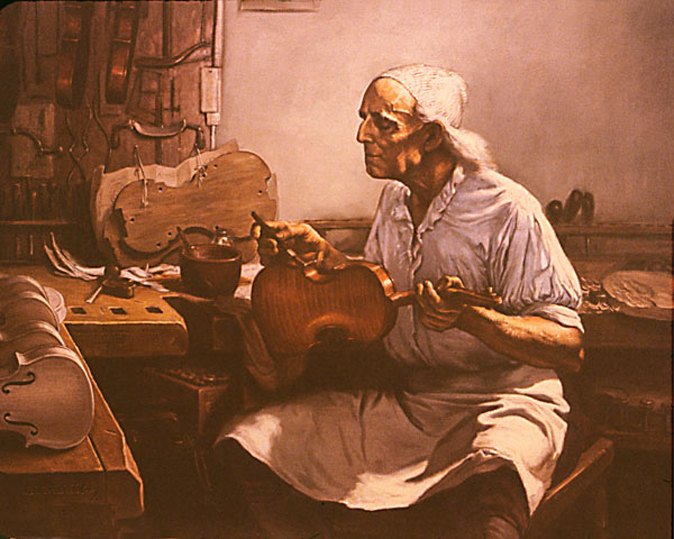 The most prized violin makers were the Stradivari, Guarneri and Amati families from the 16th to the 18th century in Brescia and Cremona and by Jacob Stainer in Austria. The quality of their sound is unmatched, according to the enthusiasts. The violin became popular almost immediately, specially street musicians and the nobility. Schedule your Violin Lesson now.